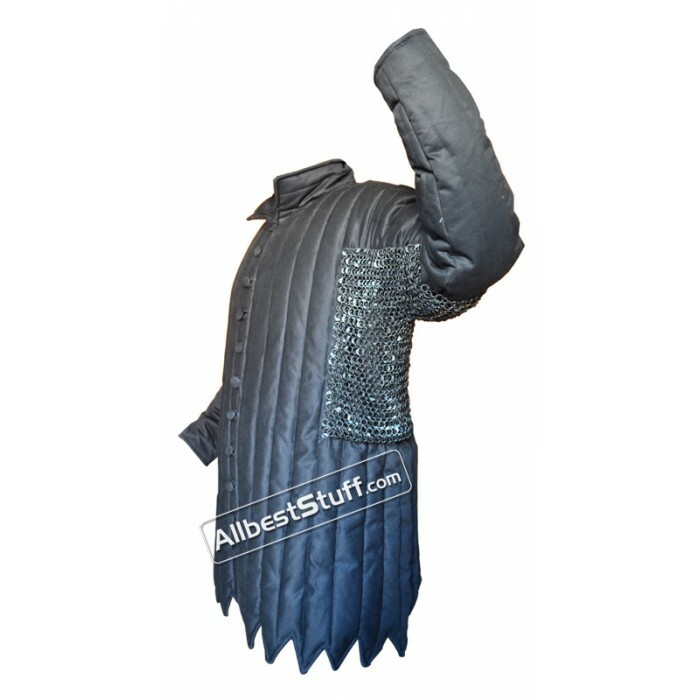 Padded Black Colored Cotton Gambeson with Flat Riveted Rust Proof Chainmail Voider made out of Stainless Steel Dome Riveted Rings. 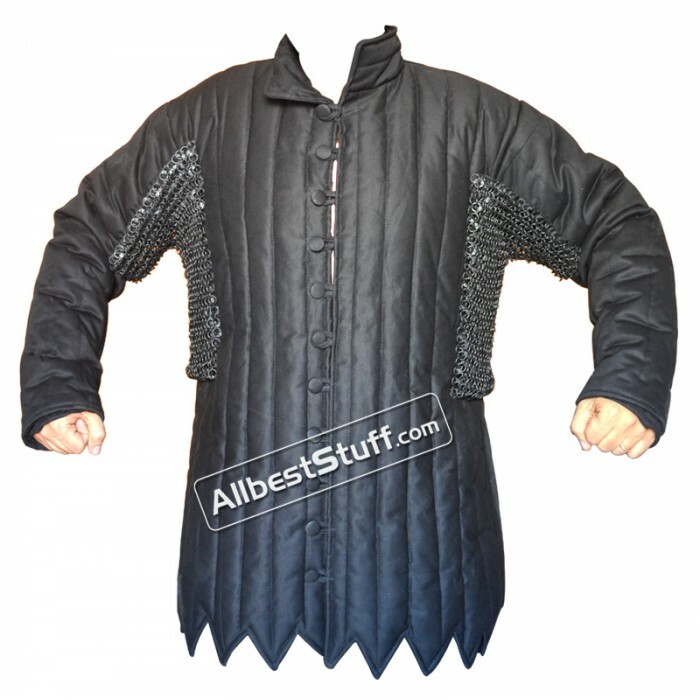 Perfect for Role Play, SCA Fighting, Reenactment events. Standard Size Voiders stitched on both Arms, Armpit and both side of the torso. 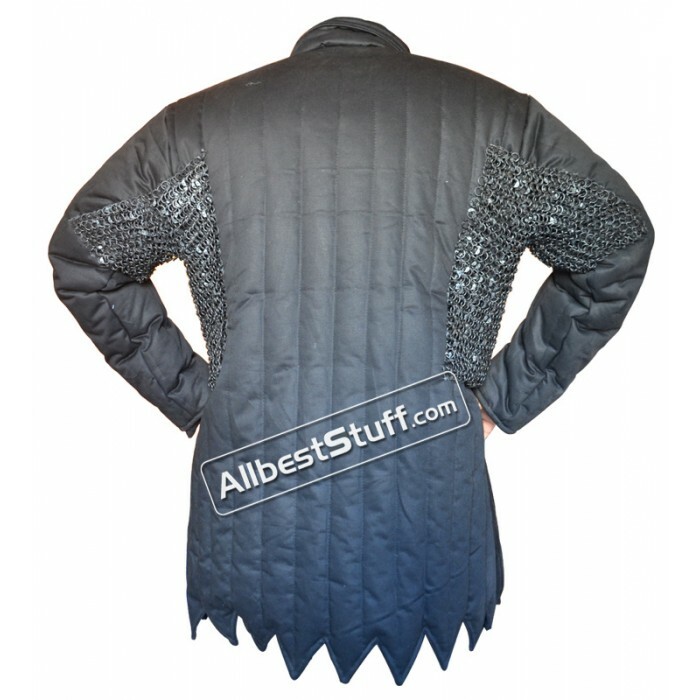 Note: Both Oil Finish and Blackened Chain Mail products have some amount of oil hence we have restricted voiders with these finish stitching to a darker fabric, please expect some marks of oil on the product.